MYMUSICFIX has put together a Program for $199.99 allowing our customers to PICK/SELECT a specified amount of music from specified titles within a given package. For example, if the program is a "PICK 6 Program", you can select 6 titles from a given menu of artists. When you see the various collections MYMUSICFIX is offering via this Newsletter, you will immediately see the tremendous value associated with these offerings. Each is limited to 3 sales of a specific $199.99 Package. Of course, we are limited - once these are gone, they are gone forever. 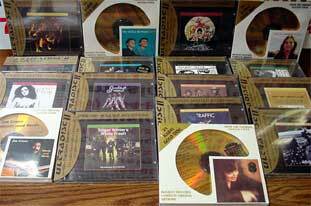 In the upcoming MYMUSICFIX NEWSLETTER, various Package Deals will be offered on top Audiophile Vinyl and 24-Karat Gold CDs. The MYMUSICFIX PICK PROGRAM is the best values within the Industry. If you've done your homework, you will immediately understand the value of each collection offered. MFSL Howlin' Wolf/Real Folk Blues. SINGLES COLLECTION - THE LONDON YEARS, 4 LP Box Set + 72 Page Booklet (counts as 4 picks) -SOME GIRLS with original diecut cover - EXILE ON MAIN STREET 2 LP (counts as 2 picks because of its rarity) - BIG HITS HIGH TIDE & GREENGRASS gatefold cover - THROUGH THE PAST DARKLY gatefold cover - 12 x 5 - DECEMBER'S CHILDREN - AFTERMATCH - ROLLING STONES NOW - GOT LIVE IF YOU WANT IT - OUT OF OUR HEADS and GET YER YA-YA'S OUT IN CONCERT - all titles are OUT OF PRINT and some of the last copies left in the world. Any of these can be viewed individually for listing information on www.mymusicfix.com. If you really understood how few vinyl LPs have been produced over the last 5 years you would never pass up any title you are looking to upgrade your collection with. They're each are very limited in there pressings and disappear so quickly from the vinyl market. Once gone they skyrocket in price since they're gone forever. Don't second-guess yourself because before you know it you'll never find it again. Mymusicfix is offering a package auction where the winning bidder can choose any 10 selections from these listing choices. 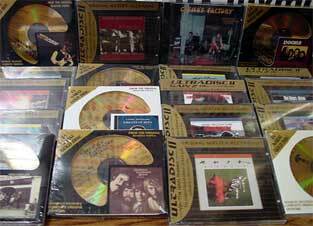 This package auction is hundreds of dollars below collector's market value and gives the winning bidder a tremendous chance to establish and enjoy some the finest 24-Karat Gold Audiophile Masterpieces in existence. All titles are Out of Print and gone forever, very limited in quantities and all Factory Sealed. Don't Miss Out!! IF YOU NEED ANY INFORMATION ABOUT THESE TITLES you can visit www.mymusicfix.com for individual listings or if you are interested in purchasing a title alone. 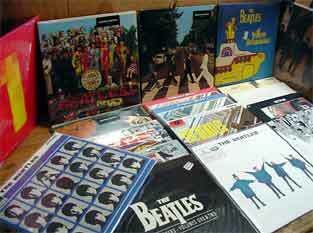 Your choices are: BEATLES #1 (DOUBLE LP with poster and individual pictures) - SGT. PEPPER'S LONELY HEART'S CLUB BAND - ABBEY ROAD - THE YELLOW SUBMARINE SONGRACK RARE YELLOW VINYL LP (counts as two picks because of the rarity of Yellow Vinyl Pressing) - BBC Session 2 LP set (counts as 2 picks) - PAST MASTERS 2 LP set (counts as 2 picks) - THE BEATLES RED 2 LP set '62 - '66 (counts as 2 picks) - THE BEATLES BLUE 2 LP set '67 - '70 (counts as 2 picks) - THE BEATLES WHITE ALBUM 2 LP set (with poster and 4 pictures of Beatles individually) (counts as 2 picks) - BEATLES FOR SALE - LET IT BE - REVOLVER - HELP - PLEASE PLEASE ME - HARD DAY'S NIGHT - BETLES ANTHOLOGY II 3 LP (counts as 2 picks)_- BEATLES ANTHOLOGY III 3 LP (counts as 1 LP) and RUBER SOUL (counts as 2 picks because of its rarity). . If you really understood how few vinyl LPs have been produced over the last 5 years you would never pass up any title you are looking to upgrade your collection with. They're each are very limited in there pressings and disappear so quickly from the vinyl market. Once gone they skyrocket in price since they're gone forever. Don't second guess yourself because before you know each you'll never find it again. This auction is Mymusicfix PICK 5 SELECTIONS (any of the 5 listed above) to the winning bidder. Those LP s noted as Double LPs count as 2 picks or those for their rarity indicated as two picks. 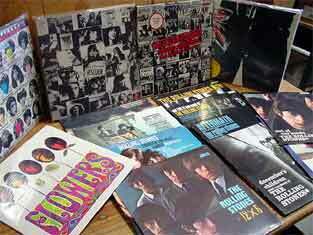 All titles have been released by Capitol/EMI and are the last pressings produced within the U.S. or U.K. Most all are Out of Print and gone forever. If you need any information on these titles individually, visit www.mymusicfix.com for the individual listing information or if you seeking an individual title. 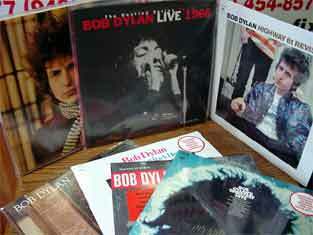 Included in this auction are 13 various Dylan classic Heavy Vinyl Limited Edition Virgin Vinyl Pressings. All Re-mastered from Original Sessions Analog Master Tapes and Factory Sealed. In this auction, the winning bidder can choose 10 titles from a collection that evolves around the tremendously Rare Long Out of Print Classic Records LIVE AT THE ROYAL ALBERT HALL Box Set (which alone sells for at least $150 on the Collector's Market). Choosing this Box Set counts as 5 picks from this title alone. The following 10 titles count as one pick per title: THE TIMES THEY ARE CHANGIN' (MONO) - STREET LEGAL (STEREO) - BLONDE ON BLONDE 2 LP (STEREO) - FREE WHEELIN' (MONO) - BLOOD ON THE TRACKS (STEREO) - HIGHWAY 61 REVISITED (STEREO) - BRINGING IT AL BACK HOME (STEREO) - ANOTHER SIDE (MONO) - GREATEST HITS (STEREO) and LOVE AND THEFT 2 LP (STEREO). Your last choices are the ALBERT HALL out of box individually sealed LP "Acoustic" which is Tremendously Rare (counts as 3 picks) or "Electric" (counts as 2 picks). Only three of these auctions will ever be available from Mymusicfix. Most titles are in their last pressings or Out of Print forever. Don't miss out on being one of the last people in the world to upgrade your collection with these masterpieces of vinyl.